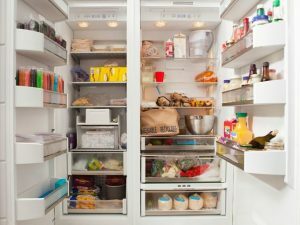 To make the best use of the refrigerator there are some small tricks you have to know: what the right temperature should be, where to place food, how to store them, etc… Just follow these simple tips for an optimal use of your electrical appliance, to avoid waste and make it work as long as possible. The refrigerator is one of the most important home electrical appliances: in fact it is indispensable to preserve food for a long time. However, it is often used in a bad way, putting everything inside without a proper order, regardless of the right placements, or filling it too much. It is also important to periodically clean it and take care of its maintenance to obtain maximum performance from our electrical appliance. Then let’s find out what are the tricks to make the best use of our refrigerator: the right temperature, what to preserve and how long, how to place food, and other tips that will also save on consumption of the electrical appliance, as well as avoid unnecessary food waste. Here are the simple rules to follow! In order for the refrigerator to work at its best it is important to perform a periodic cleaning, as well as a basic maintenance. To eliminate bad smells clean the refrigerator with water and baking soda or water and vinegar, also cleaning all the shelves and drawers where the fruit is usually preserved. Clean it at least a couple of times a year, and do the same with the freezer that must be cleaned and periodically defrosted following the instructions in the handbook to do everything correctly. Never use sharp objects to remove ice, as they could damage the electrical appliance and jeopardize its proper functioning. The refrigerator has an ideal temperature ranging from 4°C to 6°C, while the freezer temperature must range between -15°C and -18°C. Remember also that each area of the refrigerator has different temperatures, so it is important to know where to place the different foods. In the door you must preserve cheese, butter and drinks; in the upper shelves you can put eggs, dairy products, cured meats, pastries, leftover foods and open seasonings, there the temperature is around 5°C. In the lower shelves just put meat and fish, in that area the temperature is in fact lower, close to 0°C. Instead, in the drawers you must store fruit and vegetables at a temperature of 2°C. 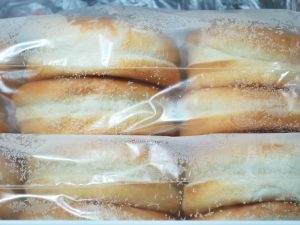 Always remember to store food in airtight containers, or covered with plastic wrap, to avoid contamination and odors passing between different foods. Not all foods should be kept in the refrigerator: do you know which food to put and which food not to put? 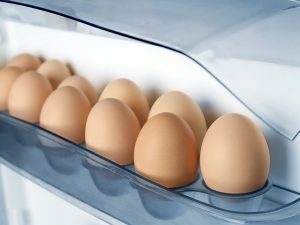 Foods to be preserved in the refrigerator are: eggs, milk, jam, open sauces, vegetables and almost all the fruit, as well as leftover food and raw meat and seafood. 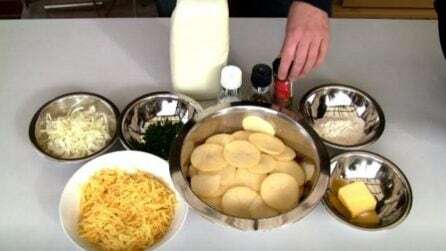 Then there are foods that must be preserved at room temperature such as mozzarella cheese, unripe tomatoes, green beans, cucumbers, zucchini, as well as potatoes, garlic, onion and oil: these foods must be preserved in dry and dark places, just like coffee, that must be preserved in an airtight container. Other foods to be preserved at room temperature are honey, basil, avocado and bananas, especially when they are not ripe yet. Also mustard and ketchup can be kept out of the refrigerator, unlike what you may think. Once you store the food in the refrigerator, do not keep it there more than necessary: for example once opened milk must be consumed within 5 days, seasoned cheese can be stored for up to a week wrapped in transparent film, as well as fruit that must be preserved in transparent bags. 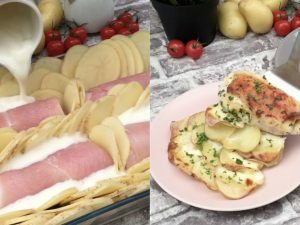 Salad can be stored in the refrigerator for no more than 3 days, meat and ham should be kept in the refrigerator for 2 days at most, while seafood only 1 day. Be also careful with expiration dates: first of all place on the bottom products that do not have a short expiry date, putting the food to be consumed before on the front, with the expiration date well in sight, or the already opened food, so as not to throw away food, or at least try doing it! Then remember the difference between "consume within" and "consume preferably within": in the first case it is necessary to respect the expiration date on the product, instead in the second case the foods can be consumed even a few days after the expiration date, as they still retain their organoleptic properties. Then there are some simple rules to follow to preserve food in the refrigerator in the right way. 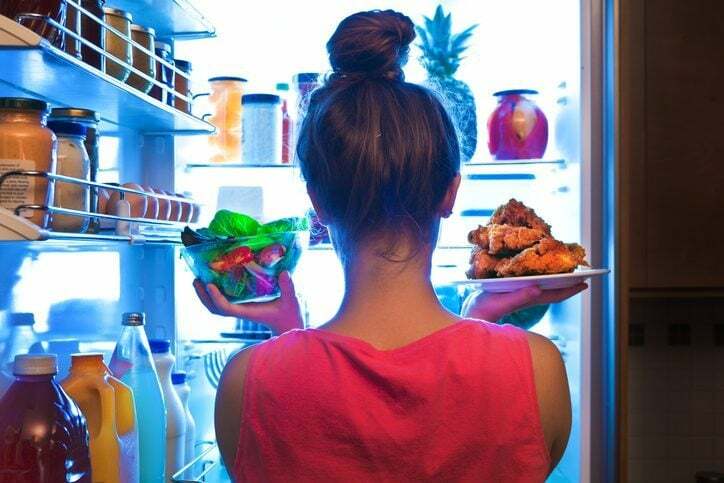 Only cold food should be placed in the refrigerator: if you need to store freshly prepared food, first let it cool and then put it well-covered in the refrigerator. It is also important not to overfill the refrigerator: if you put too many things close to each other there will not be the right air circulation. Do not open the door too much often, as every time you open it some hot air enters in the refrigerator, forcing the electrical appliance to a surplus of work: then, open it as little as possible and for a short time. Always place the food in airtight containers and remove outer wrappings after purchase. Remember also not to place the refrigerator too close to the wall and never keep it outdoors or in unprotected areas, as it could be dangerous to leave the refrigerator in bad weather.